A minha rubrica "weekend movie" tem ficado um pouco esquecida nas últimas semanas, a verdade é que tenho andado viciada em séries e não tenho visto muitos filmes. 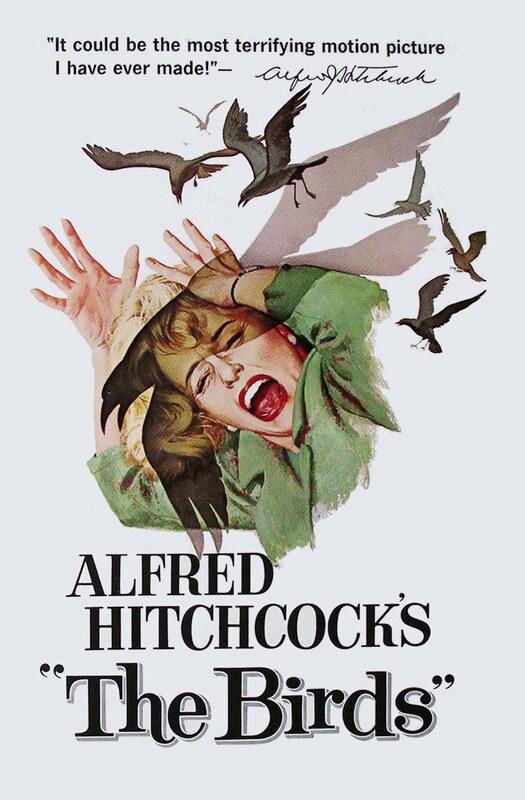 Há uns tempos adquiri toda a obra de Alfred Hitchcock, que apesar de ser um dos realizadores que eu mais admiro ainda só tinha visto os dois filmes mais conhecidos ("Psycho" e "Rear Window"), ontem decidi ver o filme "The Birds", um terrorifico suspenase com nuances apocalipticas que me surpreendeu pela positiva! 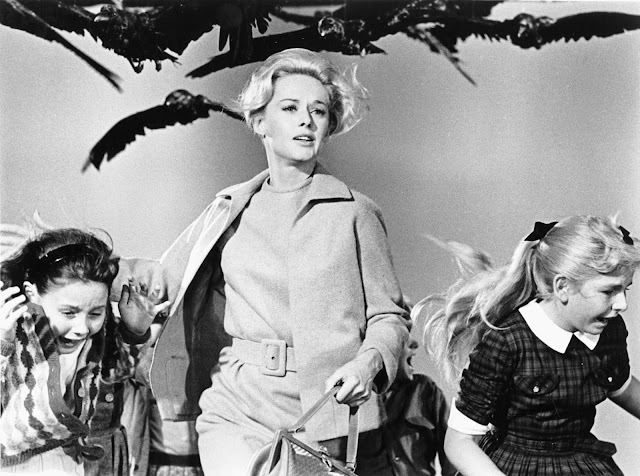 Melanie Daniels (Tippi Hedren) é uma solteirona de São Francisco que se apaixonou à primeira vista por Mitch Brenner (Rod Taylor), um charmoso advogado, e o segue até á sua casa na pequena cidade de Bodega Bay onde fica o fim de semana para conhecer a sua família. Desde que Melanie chega a Bodega Bay começam a surgir estranhos ataques de pássaros que se tornam cada vez mais violentos e mortíferos. Ninguém consegue explica-los nem prevê-los, todos os habitantes se encontram à mercê das aves que parecem determinados a matar todos os seres-humanos. Ao contrario da maioria das suas obras (ou pelo menos as que conheço) neste filme não nos é fornecida qualquer explicação concreta e verosímil que ajude a explicar os fenómenos do filme, desta forma Hitchcock deixa o final em branco para ser preenchido pelas opiniões do espectador. Gostei bastante do filmes, um belo filme de suspense bem ao estilo de Hitchcock. My topic "movie weekend" has been forgotten in the past weeks, the truth is that I've been addicted to series and haven't seen many movies recently. Some time ago I got all the work of Alfred Hitchcock, who despite being one of my favorite movie directors, I still had only seen the two best known films ("Psycho" and "Rear Window"), yesterday I decided to see the movie "The Birds", a terrifying apocalyptic thriller that surprised me positively! Melanie Daniels (Tippi Hedren) is a spinster of St. Francisco who felt in love at first sight with Mitch Brenner (Rod Taylor), an handsome lawyer, and follow him up to his house in the small town of Bodega Bay where she spend the weekend to meet his family. 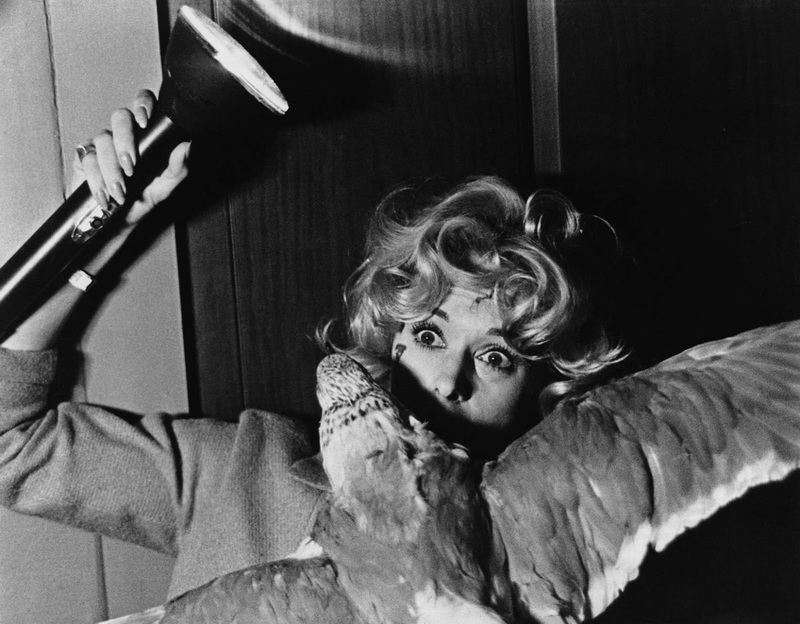 Since Melanie arrives in Bodega Bay start to appear strange attacks of birds in town that become increasingly violent and deadly. No one can explain them or predict them, all people are at the mercy of the birds that seem determined to kill all human beings. Unlike most of Hitchcock's works (or at least the ones I know) in this film we are not given any concrete and plausible explanation to help explain the phenomena of the film, so Hitchcock leaves the final blank to be filled by the opinions of the beholder. I really liked the movie, is a beautiful thriller in the style of Hitchcock. Já vi, e também gostei bastante. 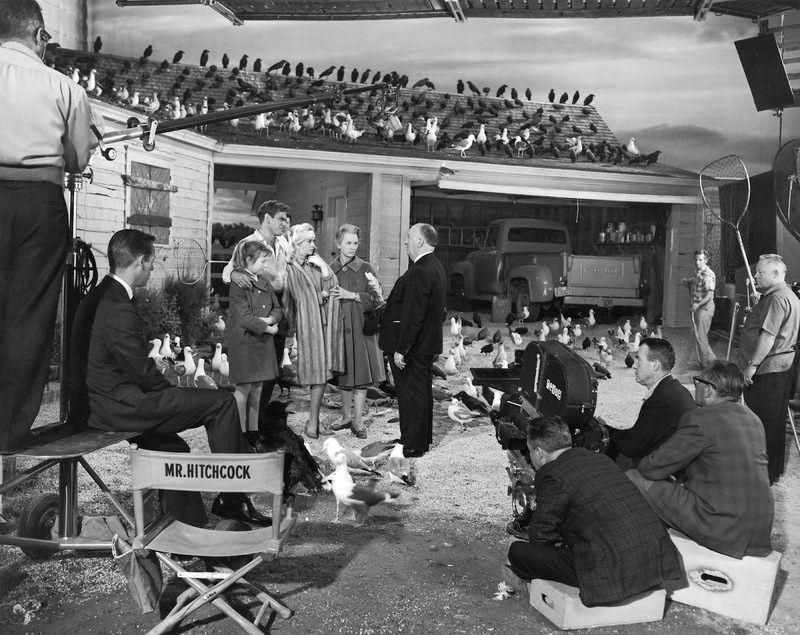 Um clássico de Hitchcock, sem dúvida. Confesso que o final me deixou um pouco surpreendida também, porque estava à espera de uma explicação, mas gostei imenso.